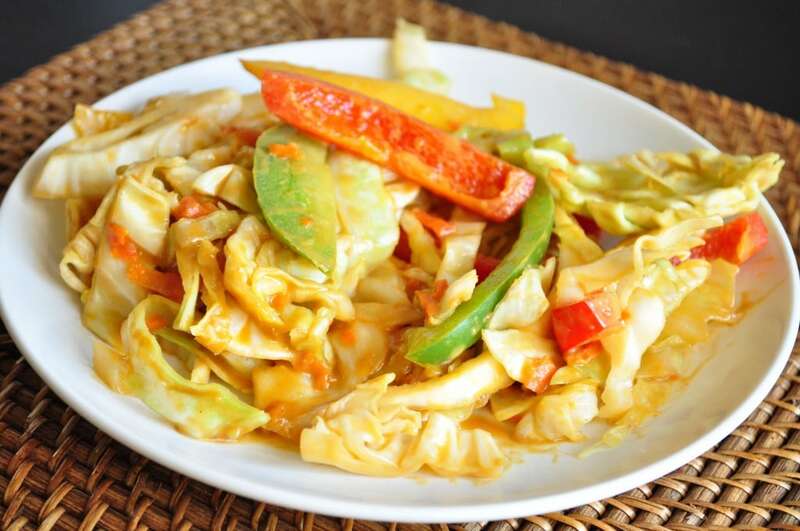 Cabbage Peanut Stir Fry. 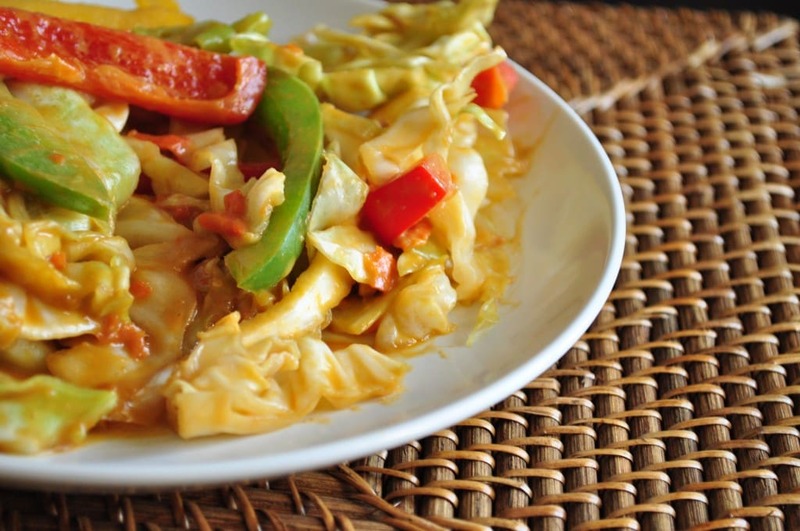 Stir fries are a great way to use up an extra vegetables you have in the fridge. That is exactly what I was doing when I came up with this stir fry recipe. Sometimes you really don’t even need a recipe. Just throw a bunch of stuff together and viola! Instant meal. Often times with something delicious and easy. That was the case with this healthy stir stir fry recipe. This recipe will become a staple in our meal rotation. If you wanted to add more protein to this recipe, you can add baked tofu. To bake the tofu, I cut it into cubes and bake in the oven at 350. It usually cooks in 30-35 minutes. This recipe would also be great served over wild rice or quinoa. This helps also stretch the meal out longer. This dish was inspired by my Peanut Noodle Stir Fry. In a large pan, throw the cabbage, peppers, carrots and oil and cook on medium covered until some of the cabbage cooks down. It will seem like a lot, but I promise it will cook down a bit. While the veggies are cooking, in a large mixing cup, add the peanut butter, soy sauce and orange juice. Once the veggies have softened a bit, add the sauce and cook a bit longer until everything is combined.